The Net Promoter Score® is a widely used metric for measuring customer experience that has gained in popularity in recent years. But it has also come under criticism, as it provides limited information on how to improve customer experience or even the factors that influence it. 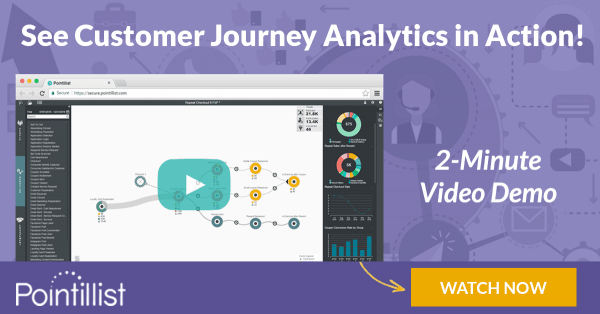 Customer journey analytics can solve this mystery by calculating and analyzing NPS within the context of millions of unique customer journeys to reveal the customer behaviors that most impact your Net Promoter Score. 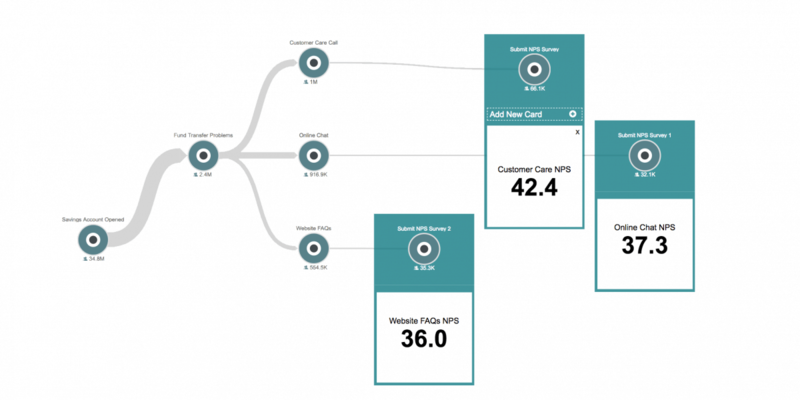 This blog post will show you step-by-step how to calculate NPS for your key customer journeys using journey analytics. The Net Promoter Score has grown in adoption because it is simple to understand and implement. 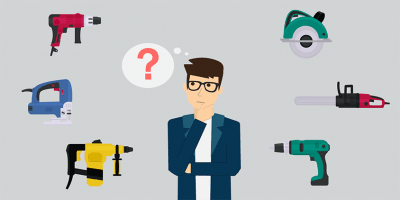 It is asked as a single question that determines a customer’s Likelihood-to-Recommend (LTR) and, depending on the score, categorizes respondents into Promoters, Passives and Detractors. See Measuring Customer Experience Beyond NPS for more information on NPS and a wide variety of other CX metrics. Customers can claim they will recommend a company to a greater or lesser extent, but it remains unproven whether they will actually do so in practice. 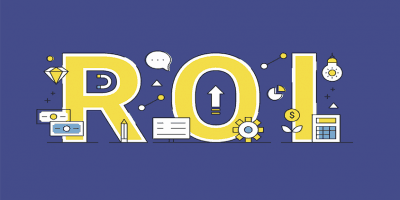 Customer experience teams complain that NPS cannot accurately measure customer behavior, as it does not provide a quantitative link to the KPIs that business success is measured by, including those that track re-purchases, churn, cross-sell or up-sell. NPS treats all customers the same, but in reality the recommendation of one customer is not always as valuable as that of another one. Quite simply, you want to determine who are the customers with highest Lifetime Value (LTV) and focus on their Likelihood-to-Recommend (LTR). Strengthened performance on customer journeys correlates with increases in customer satisfaction and key organizational metrics such as revenue increase and churn reduction. No wonder leading companies are striving to take a journey-based approach to improve CX. For this purpose, you need deep insights into customer experience within the context of your key customer journeys. But regular (leave alone real-time) measurement of customer experience within the context of customer journeys has thus far proved to be very challenging. The Net Promoter Score is no exception. VoC platforms know how to calculate NPS but report it without the context of where each customer was in their unique journey with your product or service. But Transactional NPS only provides you information after a particular transaction, rather than within the end-to-end customer journey. It does not tell you what effect an event further back in time could have on a customer’s eventual churn or predict the effect of customer behavior variations across multiple channels and segments. Retail banking is undergoing unprecedented changes, as banks try to cope with rapidly changing customer expectations based on service levels from companies like Amazon and Apple and competition from agile fintech players. A study by Econsultancy found that 63% of financial services organizations ranked customer experience as their No. 1 priority. The customer experience team in a leading retail bank wants to test their hypothesis that the experience of customers using self-help customer service channels is as good, if not better, than that of customer’s calling their customer care center. 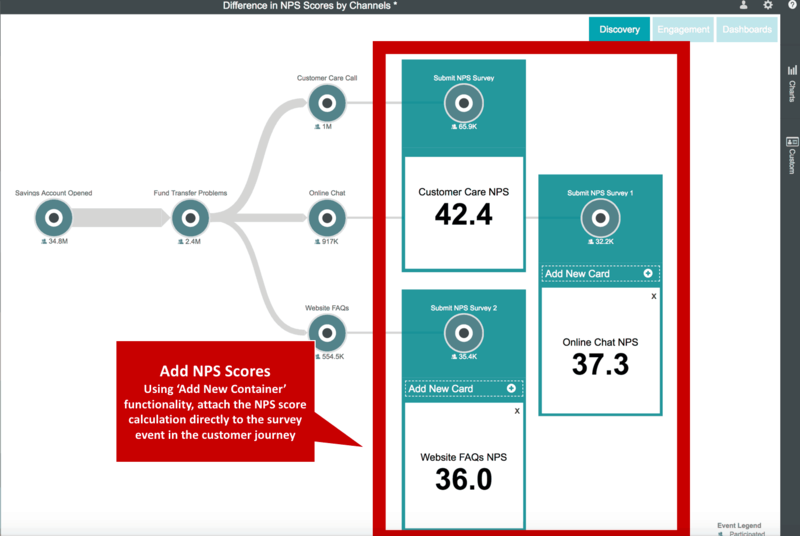 To test this hypothesis they calculate NPS within the context of three customer journeys using the Pointillist customer journey analytics platform. 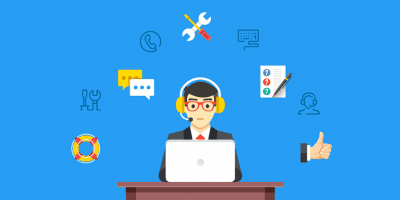 To start, the team pulls together customer data from a variety of different sources, including their call center platform, data warehouse, VoC platform and website. Since Pointillist can integrate customer data rapidly and easily without first requiring customer identity matching, schema set-up or fixed field mappings, the integration is completed in less than two weeks, with only 2 or 3 virtual meetings and a few emails exchanged. Once the data sources are integrated, the Pointillist journey analytics platform automatically matches the data associated with a specific person across events and sources. This way, if 50 people interacted with the bank through three different channels, the data should not make it look like 50 x 3 = 150 different interactions from 150 different individuals. There are many identifiers that can be used to match the identity, such as transaction ID, device ID etc. After the customer data is integrated, the CX team begins to define a customer journey to analyze. 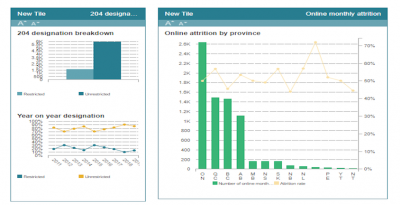 By using the drag-and-drop canvas, they decide to start the customer journey discovery with ‘Savings Account Opened’ event. Next, they drag and drop the ‘Fund Transfer Problems’ event onto the Journey Canvas after ‘Savings Account Opened.’ The journey canvas shows that out of 34.8 million customers that opened a savings account, 2.4 million encountered fund transfer problems. Customers who experience Fund Transfer problems, usually seek help through one of three service channels: a call to the customer care center, online chat via the bank’s website, or by browsing FAQs on the bank’s website. As the CX team already knew, the journey analytics platform showed the largest volume of customers were using the Customer Care Call Center. Next, they determined how many of these customers responded to an NPS survey at the end of each of these three journeys. 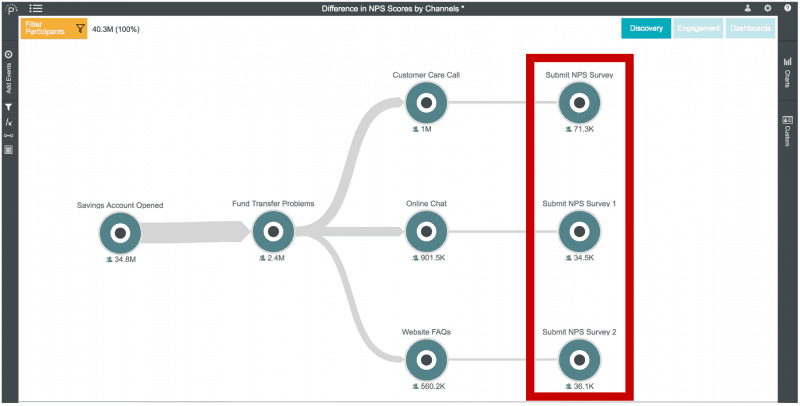 Once the CX team defines the three journeys they want to compare, they analyze the survey data to understand the impact of customer service channel on NPS. 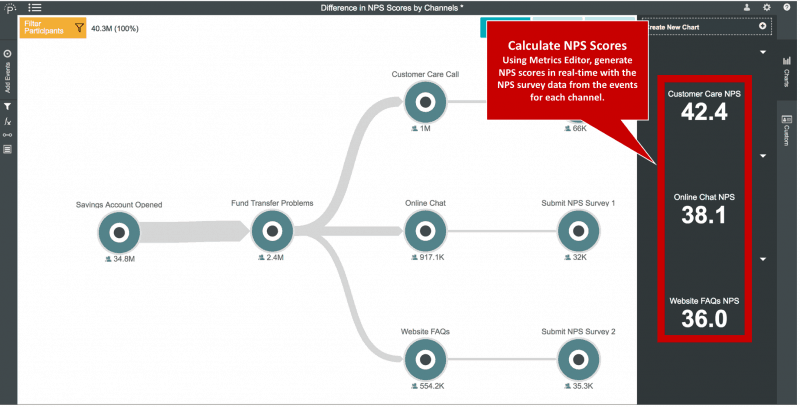 Using the Pointillist Metrics Editor, they enter the formula to calculate the Net Promoter Score for the customers in each journey using the actual survey data. After the three Net Promoter Scores are calculated, they add them directly to the customer journey. Using the Pointillist Customer Journey Analytics Platform, the CX team realize that their hypothesis was incorrect. The Customer Care Call has the highest NPS of all the customer channels, 42.4 as compared to 37.3 for Online Chat and 36 for Website FAQs. The CX team discovers that they were chasing the wrong metric, i.e. reducing the number of customer care calls. 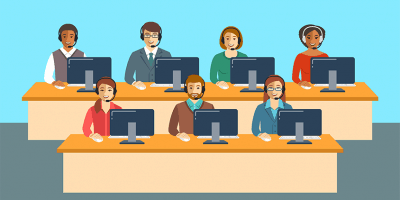 In fact, customers that resolved their problem through the Customer Care Center were looking for a more personal touch and after their problem was resolved they were happier than customers who resolved their problem through the other channels. The retail bank thus concludes that when resolved through a phone call with a live person, the Likelihood-to-Recommend or NPS score is much higher as compared to an online chat or reading a web article. This has a cascading effect on reducing churn, up-selling, and ultimately increasing customer Lifetime Value (LTV). The entire analysis was completed in less than an hour. This kind of sequential analysis had previously taken weeks for their data science team to produce. By analyzing Net Promoter Score within the context of the customer journey, the customer experience team was able to better understand how customer experience differed by customer support journey and use this information to prioritize future CX improvements and investments.